Executive meeting and VIP registration site design/development for global annual event. MODintelechy was approached to develop a customer and prospect engagement strategy and execution for AT&T at Wireless Enterprise Symposium (WES), the world's most comprehensive BlackBerry® event, showcasing the products, services and people that matter to mobility. 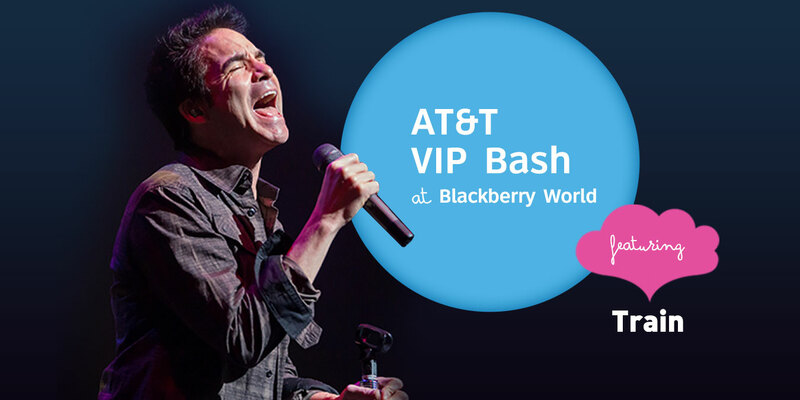 The MODintelechy team designed and developed a custom Executive Meeting registration site and the AT&T VIP Event registration site, capturing the excitement of the highly anticipated performance by Grammy award winning band, Train. The sites also collected customer and prospect contact information and generated qualified sales leads. Both microsites were developed complete with backend registration portals for easy export for sales representatives. "Both the Executive Meeting and VIP Event registration sites captured the excitement of the highly anticipated performance by Grammy award winning band, Train." The success of both the Executive Meeting and AT&T VIP Event registrations sites was measured by the drastically increased number of qualified leads.